This year’s Seattle Pride Parade commemorates two important anniversaries in LGBTQIA+ history. The first is a movement that started in Seattle 45 years ago with the first gay liberation week in 1974, and the other is the 50th anniversary of the Stonewall uprising, which was a series of demonstrations and protests by the LGBTQIA+ community to defend their rights to exist in society. With the help of these historic events, undeniable victories in LGBTQIA+ civil rights have been achieved, including: marriage equality nation-wide, anti-discrimination employment laws in 24 US states and territories, the repeal of “Don’t Ask, Don’t Tell,” and acceptance of LGBTQIA+ celebrities, elected politicians, and public figures. But these advances are only the beginning of the road to complete equality nationally and world-wide, and we still have a long journey ahead to reach a place where no one is marginalized — not by race, nationality, religious beliefs, sexual orientation and/or gender identity. So as we pause to look back with respect, honor, and gratitude for those who began this fight for equality, we also look forward with ambition, motivation, pride and hope." As always, the Network will march in Seattle's Parade, June 30, 2019. We are gladly partnering with GenPride this year to be an even stronger presence during this joyful day. While our beloved original float is living a quiet life in retirement, we are already wondering what will be next to dazzle the loyal crowds who line the parade route. Are you creative and devoted to the cause? Help us out! We are grateful to Annie Jacobsen, Dementia Care Coaching, annie@jacobsendcc.com, for chairing our 2019 Pride Committee. 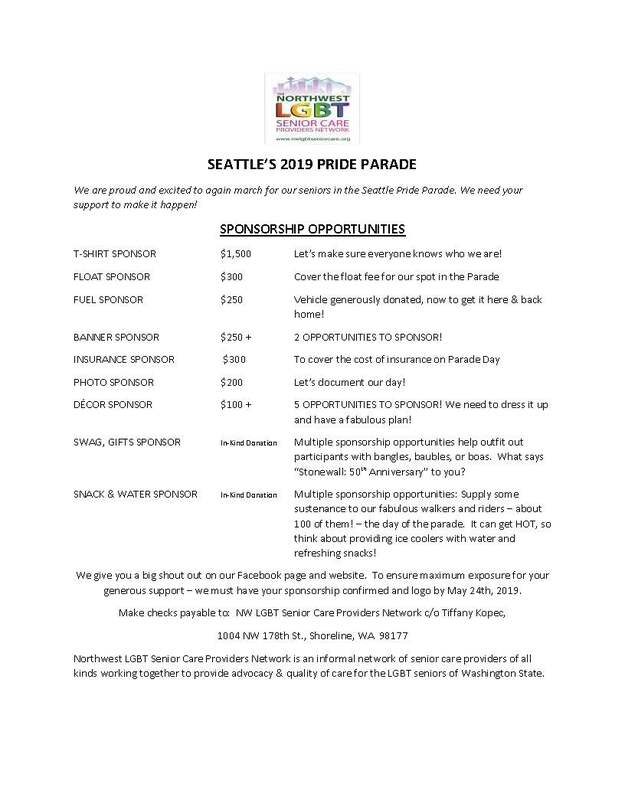 Support from sponsors is also critical to our success at Pride events. From supplying the water for our thirsty marchers to making sure our float is at its fabulous best, sponsors help the Network in many powerful ways. Please reach out to Tiffany Kopec, 206-714-6130 or tkopec@homecareassistance.com, HomeCare Assistance, 7900 East Green Lake Drive North, #106, Seattle, WA 98103 if you can offer sponsorship help. AND THANK YOU! 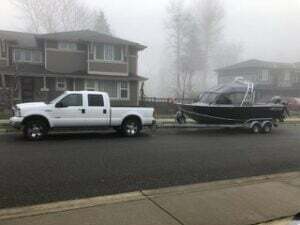 We are racing ahead with our Pride plans: the boat won't float on land, but our faithful truck will be towing a float again. 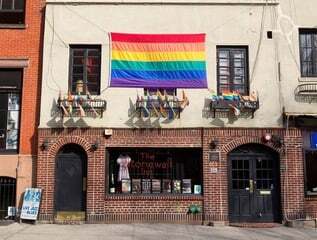 Sadly, we won't be able to give our Elders a lift this year, but we'll honor them with our theme, a recreation of the front of the Stonewall Inn, with their photos. We are grateful to Adrienne Miller, Forever Care Services and Beatrix Miguelez, GenPride for artistic inspiration. PLEASE COME TO OUR APRIL AND/OR MAY MEETINGS AND STAY FOR JUST A WHILE IF YOU WOULD LIKE TO HELP. OUR BUILD-A-FLOAT DAYS WILL BE: - Please contact Annie Jacobsen, annie@jacobsendcc.com, to volunteer. Our build team, and we welcome more volunteers, is Annie Jacobsen, Michael Allen, Alicia Kikuchi, Alicia Kikuchi Law; James Ramirez, Ralph Sanders, Sanders Law Group, Lisa Satin, The Right Place Senior Options, Kevin Stallo, Lauren Ward, Thrive Senior Advisors, Jason Wood. Rumor has it Ralph makes a very fine coffee. The Network has a long history of attendance at Pride Parades. Enjoy these memories with us - please browse our Pride pages! We are always grateful to our volunteers. We request, PLEASE, that volunteers who march with us during Pride, or help us at any other event, adhere to the following Guidelines.